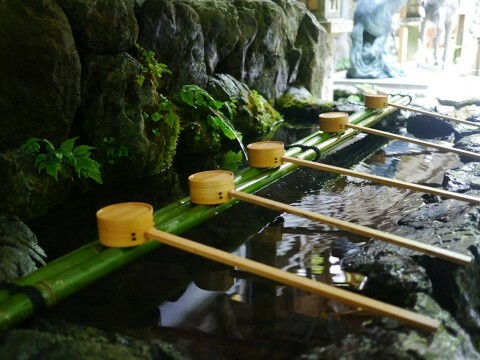 When you visit a Japanese shrine, you will first encounter with the purification fountain/water near the shrine’s entrance. So what you need to do here is to take one of the ladles provided, fill it with fresh water and rinse both hands. Then transfer some water into your cupped hand, rinse your mouth and spit the water beside the fountain. This is a part of the purification ritual altogether.